Northern Correctional Institution in Connecticut is a control unit that houses security risk group safety threat members (SRGSTM), chronic discipline prisoners, administrative segregation (A/S), and death row prisoners. 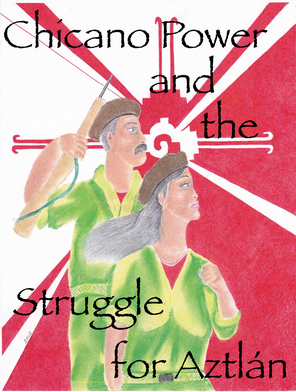 Both authors of this are labeled SRGSTM and because of a peaceful protest are now A/S prisoners. One author has been in this control unit for almost 4 years and the other for 1 year. We are locked down 23 hours a day and 24 hours a day on the weekends. We are only allowed 3 showers a week with leg irons on our feet. Visits: behind a window, SRGSTM gets 1 hour visit, A/S and chronic discipline 30 mins, only immediate family members. There is no school, except for prisoners under 21 years of age with disabilities who qualify. No job training to anyone. No law library except to death row prisoners. No real medical assistance. Telephones: the state of CT has a control contract with a phone company that forces us prisoners to pay far more for our calls than people in the world. We are only allowed a list of ten phone numbers that has to be approved. SRGSTM are allowed three 15 minute calls a week and A/S and chronic discipline one 15 minute call a week and all telephone conversations are monitored and recorded. We are all also cuffed with leg irons and handcuffs while on the phone. We are cuffed this way for all out of cell movements. Recreation yard is 1 hour on weekdays. SRGSTM are cuffed behind our backs while in the yard for our 1 hour of out of the cell rec. A/S are taken off of cuffs once we are placed in a rec yard cell about the same size as our cells. Sometimes they make prisoners pick between hot food or their rec. If you go to rec, your food will be given to you cold. You are not allowed real footwear in A/S or hats and gloves in the jail, same for SRGSTM, CD, and death row. Meaning no matter how cold it is outside we are never allowed inside dayroom rec. We are only giving things to clean our cells once a week. A lot of the time they force prisoners to go in the cells with other prisoners who have life sentences and have already told the administration they do not want cell mates and they will kill the person they put in their cells. Most of the time these prisoners they put in the cells with these lifers are short timers and parole violators. Northern has already had 5 killings because of this about two this year. They will not give prisoners personal hygiene items, writing paper, envelopes, copies of legal work, or cloths if your account says you have had money in the last 90 days, meaning you have to not have money for 90 days in order to receive any of those things. The grievance procedures are set up to prolong your rights to the courts. They only have 30 business days to answer your grievances. If that time is up they can file for an extension. The problem with that is there is no limit to how many extensions of time they can give for one grievance. I know you are well informed about in-cell restraints and 4-point restraints (both authors have gone through this a number of times). In cell restraints are for 72 hours, you can't use the bathroom and if you somehow find a way to, you can not clean yourself. Food comes in cups and no utensils are given to eat with forcing you to eat with your fingers at the same time you are not allowed soap or any kind of hygiene items (but if you were how would you use them on restraints?). The in-cells are never cleaned after another prisoner comes out and one goes in, you can't flush your bathroom, nor are you allowed a role of bathroom paper. These are some of the things that take place in this control unit. They also have dogs next to you every time you leave your cells. You are strip searched for all out of cell movement even when you have not come in contact with no one. You have officers who retaliate against prisoners who file grievances on them or their fellow officers. 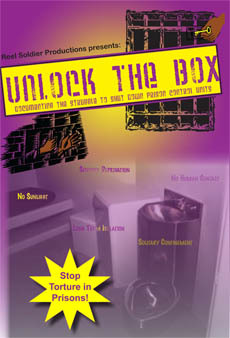 Prisoners are beat, maced in the mouth, face, eyes, even after the situation is under control. We stand ready and willing to assist any way we can to abolish these control units.